Unless you’re selling advertising, “traffic” and “eyeballs” are insufficient measures of your content marketing success. Even social media shares and engagement are only signals – way stations along the path of metrics that matter. Eventually, your content marketing must create action, not just attention. At some point, especially in a B2B environment, you need the prospective customer to supply information. This creates the almighty “lead” that is the coin of the realm for so many content marketing initiatives. But is a lead enough? And is lead generation a valid measure of success? For advanced content marketers, I say it is not. This was the topic of a recent Webinar from LeadiD, Gaggle, and Ifficient, titled “Solving for X: Combining Content and Data to Deliver the Highest Quality Leads”. One of the most interesting data points cited in the Webinar came from the State of Marketing Leadership report from Salesforce.com (a sponsor of my Social Pros podcast). This research found that quality of leads is the number two challenge faced by global marketers. Perhaps lead quality should be a major concern for content marketers, as well? Because all leads are NOT created equal. 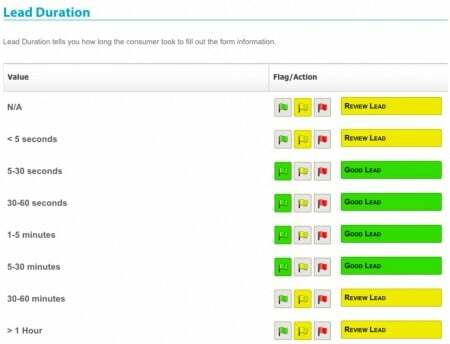 Report showing when leads are flagged, by lead duration. LeadiD runs in the background and monitors how forms are completed, from where, and in what situations. The LeadiD software flags anything fishy so that low quality – or outright fraudulent – leads aren’t given full credit. For example, if a form is completed in five seconds or less, LeadiD automatically tags it for follow-up, because it’s damn unlikely that your prospective customer just filled out your ebook request in 4.3 seconds. Bots are likely being employed and the lead is sketchy at best. This type of vigilance about lead quality is incredibly important for third parties that buy and sell leads at-scale, but it can also be of great use to in-house content marketers. After all, if you generate a lot of downloads from people or machines that have zero chance of becoming customers, what did you really accomplish? In the Webinar, Jon DelRusso from Ifficient explained their crawl>walk>run approach to content marketing and lead generation metrics. At the basic level, they measure mostly lead consumption items like downloads, page views, site stickiness (repeat visits), and accumulated SEO strength of the site or page. At the intermediate level, they start to look at total leads generated, and conversion rate. But at the advanced level, it’s not just about leads generated, but about lead quality. They look at lead authenticity. They look at lead duration (how long it took to fill out the form). They look a lead age (how long between submission of the form, and receipt of an auto-responder email confirmation). They even use predictive modeling, and look at a collection of these advanced metrics to determine – in advance – whether the lead is likely to become a customer. This is where we’re all headed. Yes, content marketing is about Youtility and storytelling. But it’s also about math. More and more and more math. 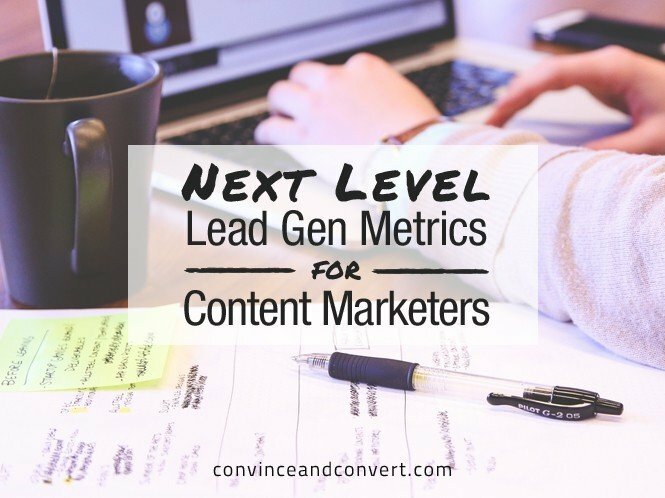 Because maybe the leads you’re generating with your content aren’t as valuable as you think?